Wanting some quality information on laser dentistry? Specifically how it can be used to clean your teeth? Great idea. Clean teeth are an essential part of you having a healthy mouth. When plaque and tartar build up on your teeth over a period of time it will begin to cause damage to your teeth. And this build up will eventually spread to your gums. It is necessary for you to get regular dental cleanings from a dental professional in order to remove any plaque or tartar buildup. If you do not, then you may eventually be diagnosed with tooth decay and/or a gum disease. What is a traditional dental deep cleaning? A traditional deep cleaning involves procedures called scaling and root planing. These require a dental professional to use special dental tools in order to gently scrape all of the plaque and tartar that are located on the teeth below the gum line. It is necessary to go beneath the gum line because this is where disease-causing bacteria will hide. 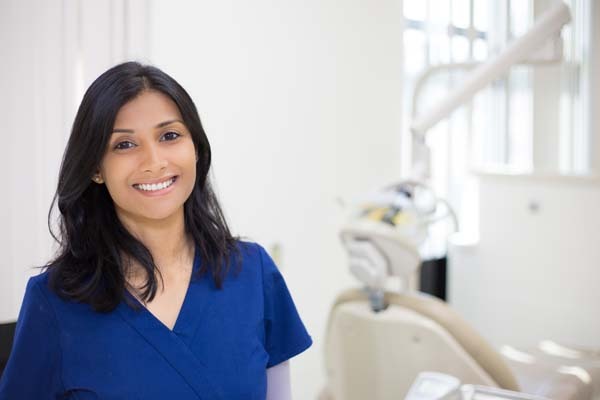 What is a regular dental cleaning? Unlike a deep cleaning, a regular dental cleaning is a much simpler process as there is not as much plaque and tartar buildup to remove from one’s teeth. While it is recommended that most people come in for a regular dental cleaning every year, there are some people who will need to come in more often and some people who will need to come in less often. It will depend on each individual’s particular situation when it comes to how often they should have their teeth cleaned by a dental professional. A deep cleaning that is performed using laser dentistry does not require a dental professional to use special dental tools. Instead, they will use a laser to treat any plaque and tartar buildup. A laser uses light energy to gently break up the plaque and tartar, which is a process that is much gentler on the teeth and gums. When a deep cleaning is performed using a laser the benefits are many and include minimal swelling, minimal discomfort, minimal to no bleeding and a much quicker recovery time. Would you like to go ahead and schedule an appointment? We can get you scheduled in for a laser dentistry deep cleaning so your teeth can be free of any tartar or plaque buildup that has been accumulating over time. All you need to do is give us a call so we can schedule you in at a time that works for you. We have a fantastic dental team here who truly cares about all of our patients. Since we are currently accepting new patients, we would appreciate the opportunity to provide you with the dental services you need for a healthy mouth. There truly is no time like the present for you to get started on the path back to good dental health. Hope to hear from you today! Are you considering laser dentistry in the Los Angeles area? Get more information at https://www.beverlyhillsfamilydentalgroup.com. Check out what others are saying about our dental services on Yelp: Laser Dentistry.